"But there are no sheep in the paddocks at the moment..."
This is a common retort we hear from those challenged for letting their dogs off the lead where signs clearly says otherwise. The on-lead rules are not just about sheep. On-lead areas provide a reliable refuge where non dog-lovers may for example sit and contemplate the view, without fear of having an unknown, inquisitive canine come and snuffle their knees unexpectedly. Even if there are no other people around when you enter, PLEASE get in the habit of respecting ALL on-lead signs around this 163-acre, privately owned site. 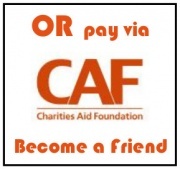 By doing so, you help to increase the enjoyment for all our many different types of visitors. Dogs must be ON LEADS at all times EXCEPT on the designated paths, and in the two exercise areas. You are very welcome to walk with your dog on the Down. For the enjoyment of everyone who visits Magog Down and because this lovely place is widely used for recreation and is an area of conservation your dog must be walked on a lead at all times except in some designated areas - those being the perimeter path and the cross-paths as marked on the map, plus the two designated exercise areas near the car park. This is part of the rules under which access to this privately owned site is permitted: please abide by these rules, and encourage others using the site to do so too. Fair Field is an area fenced off from the North Down which has been specifically made available for exercising dogs off lead: it is between the Car Park and Colin's Wood. A number of dog owners meet there regularly and many friendships have been formed over the years. 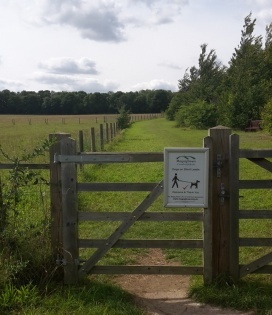 In July 2017 a second off-lead exercise area was created on the opposite side of the car park (see News), which we anticipate will become just as popular; it has been named Bagfield, acknowledging the grant for £2900 received from Tesco 'Bags of Help' which has paid for the new fencing and picnic benches. How secure will my dog be? The area put aside for off-lead dog walking is clearly marked and in the main follows the perimeter of the site. There is absolutely NO guarantee that the off-lead area is kept secure at all times for dogs of all sizes. In particular, note that the path bordering the adjacent arable land at the bottom of the site [between Villedomer Wood and Vestey Wood] is not fenced; some other fences become insecure from time to time, so can never be guaranteed; and there are two pedestrian gates opening onto the busy A1307 which, despite copious signs, do sometimes seem to get left open. Also, both exercise areas flow into the adjacent woods and the perimeter walk without fence or gate between them. Because of this we do NOT advise using Magog Down for recall training in young dogs, or those having remedial training. Dog owners ARE responsible for their dogs at all times. As a general rule, even in "off-lead" areas, keep your dog on a lead if you cannot rely on its obedience. 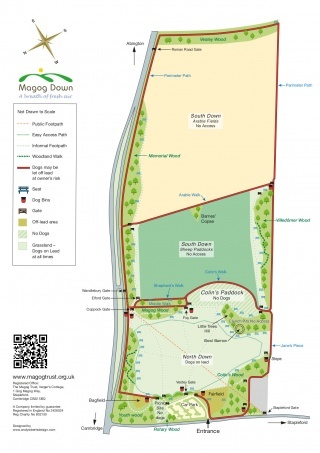 Magog Down is privately owned and managed by The Magog Trust, a Charitable Company which was set up in 1989 specifically to buy this former farmland as a long term project for conservation and recreation. Annual upkeep costs for the whole site are around £60,000, with income to pay for this coming from various sources, one of which is Member and Friend subscriptions. If you would like to help spread the word about being a responsible dog walker on Magog Down by becoming a volunteer Dog Warden, please contact us. Special dog rules apply on Magog Down, where we ask you to observe and obey the local signs. If you observe other dog walkers releasing their dogs off-lead where the signage specifies On-Lead, we urge you not to follow suit; instead, set a good example by obeying the signage yourself. Note also that Colin's Paddock is ALWAYS NO DOGS; we will always support any visitors who challenge anyone they see not observing these rules. 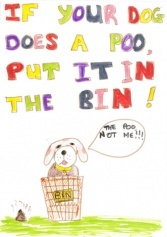 Bins for dog waste are provided and do remember it is an offence not to clear up after your dog. The bins are emptied, twice weekly, by Whoopsy Daisy on a contract to Magog Down. The position of these bins is marked on the map on the Main Noticeboard. 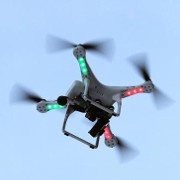 only 12 of the dog walkers were Members or Friends. 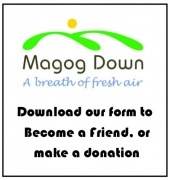 We would like all regular visitors to Magog Down to help contribute to the costs of upkeep by either becoming a Friend or, if they prefer, just making a donation. This form allows you to do either. Thank you.